Those who like to play the airline miles game. In our opinion, the most valuable feature is the ability to transfer points to Ultimate Rewards travel transfer partners. If you don't take advantage of this, you're missing out on getting the most value out of Ultimate Rewards. Travelers. Because this is a travel rewards card with an annual fee, it's best for those who travel at least once a year. With no foreign transaction fees, a smart chip, and worldwide VISA acceptance, the Sapphire Preferred card was made for international travelers. Those who like to dine out. Chase Sapphire Preferred gives you 2x points on travel and dining at restaurants worldwide & 1 point per dollar spent on all other purchases. So eating out frequently is a way to earn points fast. Note: If you are interested in this card, make sure you prioritize this application over any other cards you may be considering. Chase has a 5/24 rule, which means that if you've opened more than five new credit cards in the last 24 months (including non-Chase cards), your application will most likely be declined. So if you are interested in the Chase Sapphire Preferred sign-up bonus, travel rewards and card benefits, then complete your application for this card BEFORE you apply for other cards. Many travel credit cards have one major flaw: they are limited to a single airline or hotel chain. The one-airline strategy can work for some people. For instance, if you live in a rural area where there aren't many airlines to choose from. But for the vast majority of people flexibility is the key. With the Chase Sapphire Preferred, you can redeem your rewards for a statement credit, book travel through Chase Ultimate Rewards (with a 20% discount), or transfer them to a selection of participating airlines or hotel transfer partners (at a 1:1 ratio). Sound good so far? Wait until you hear how many bonus points you'll get with Chase Sapphire Preferred. You don't travel. There is an annual fee, so you'd need to travel enough to justify it. Instead compare Chase Sapphire Preferred vs Freedom Unlimited. You don't want to deal with transferring points. Instead compare Chase Sapphire Preferred vs Capital One Venture. You usually cook at home. Instead compare Chase Sapphire Preferred vs Blue Cash Preferred (a CreditDonkey partner). The Sapphire Preferred wins us over for five big reasons. Imagine what you would do with $750. A flight to Las Vegas for two? A weekend hotel stay in New York? Are you worried that $4,000 is too much to spend in 3 months? $4,000 might sound like a lot to spend in three months, but remember, the average household spends over $10,000 a year on food, apparel and entertainment alone. Think about how much you spend a month on your current credit card. It might not be as far off as you think. To take advantage of the promotion, visit Chase' secure website to apply. You get double reward points on both travel and dining: Earn 2X points on travel and dining at restaurants & 1 point per dollar spent on all other purchases worldwide. That means you get 2 points for each $1 spent on airfare, train tickets, hotel stays and dining at restaurants (including fast food). Note that the 2x points do not include gas. Whether you are traveling for work or picking up dinner for the kids, your Chase rewards points will add up quickly when you use your card for these types of purchases. 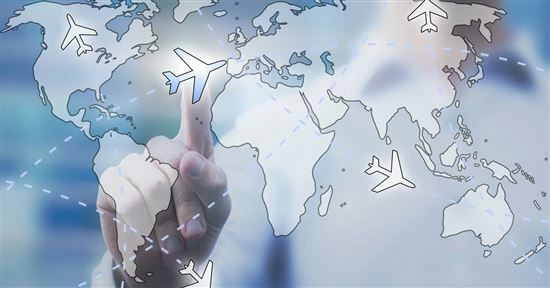 Make the points go even further when you transfer to an airline partner. For example, you can transfer 50,000 points to British Airways and redeem for 2 round-trip award tickets from Los Angeles to Hawaii. 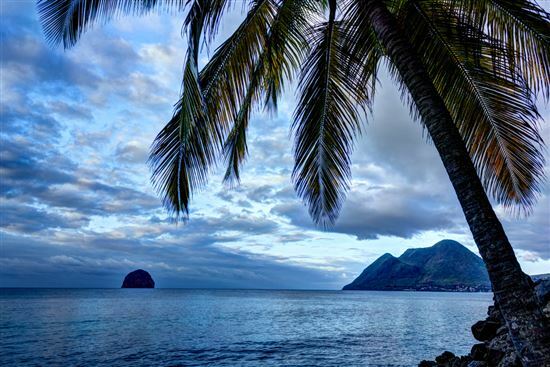 A round-trip airfare to Hawaii could cost as much as $500 - $800 per ticket depending on the time of the year. Read this guide for ideas on how to redeem Chase Ultimate Rewards points. You can get travel discounts. When you redeem your points online at Chase Ultimate Rewards, you'll receive 20% off travel, including airfare, hotels, car rentals and cruises. These savings can add up quickly. According to a 2013 survey, the average vacation for a family of four costs $4,580. A 20% discount on a comparable trip would equal over $900 in savings. The 20% discount means that each point is worth 1.25 cents when you book travel through Chase Ultimate Rewards. For example, if you book a $500 airfare using Chase Ultimate Rewards, it would only require 40,000 points. This is why the Sapphire Preferred is a popular card for people who like to save money on traveling. It's easy to transfer points. Sometimes you can squeeze even more value out of your Chase points by transferring them to a participating frequent travel programs. Points can be transferred with no fees and at full 1:1 value to airline and hotel transfer partners. Participating partners include Southwest Airlines, United Airlines, JetBlue, British Airways, Air France, and Virgin Atlantic. If you frequent any of these airlines, the Sapphire Preferred could help you earn free flights quickly. Tip: To learn more about frequent flyer miles, read our beginner's guide to miles. Then check out our guide on the best ways to use Chase points. You won't have to worry about a foreign transaction fee: Sapphire Preferred does not charge the 3% foreign transaction fee that many other credit cards do, making it an excellent selection if you travel abroad frequently. For international travelers, you want a rewards card that has no foreign transaction fee, smart chip technology and worldwide acceptance. The Chase Sapphire Preferred card has all three of these features. Tip: No foreign transaction fee and a smart chip is nice but it is of little use if the merchant doesn't accept the card. While American Express and Discover are popular in the United States, that might not be the case where you're going. Chase Sapphire Preferred is a Visa credit card with no foreign transaction fees, smart chip technology, and worldwide acceptance. Now that you know the benefits of Chase Sapphire Preferred, keep reading for some of the drawbacks, including the annual fee. We can think of three reasons why this might not be the best card for you. $95 annual fee Annual fees are common for rewards cards like the Sapphire Preferred, but some cardholders prefer credit cards that don't have them at all. Our suggestion: if you spend at least $190 per week eating out at restaurants and/or traveling, then consider the Sapphire Preferred card since you'll get 2x reward points on travel and dining at restaurants. No introductory APR. This card doesn't offer an introductory interest rate, one of the reasons many consumers sign up for new cards. Our suggestion: if you are responsible and usually pay off your balance in full each month, then consider the Sapphire Preferred card. If you tend to carry a balance, check out credit cards with low interest rates instead. Fear of rejection. Because the benefits are so impressive with this card, the application process is quite selective. You'll need excellent/good credit to qualify. Learn what Chase looks for and how to improve your odds. To learn more about the Chase Sapphire Preferred, including the online application, click here to visit Chase's secure website. Chase Sapphire Preferred is always at the top of our list for recommended travel rewards cards. We love the huge sign-up bonus, the flexibility, and the potential value you can get from it. However, you have to do the math. The rewards structure only gives you 2x points on travel and dining at restaurants (just 1x on everything else). So you won't be racking up the points fast unless you well... travel and dine out often. If you spend at least $317 on travel or dining per month, consider this card. Here's why: $317 per month on travel or dining at restaurants will earn 7,608 points per year, worth $95.10 toward travel when you redeem through the Ultimate Rewards travel portal. That's more than the annual fee. There's also that huge sign up bonus offer to consider. If you spend $4,000 on purchases within the first three months from account opening, you can earn 60,000 bonus points. That's $750 you can put towards travel when you redeem through Chase Ultimate Rewards. Once you start using it, you'll quickly see why we think Ultimate Rewards are worth more than the "miles" offered by many other credit cards. In the next section, we'll provide a full list of Chase's airline and hotel partners. If you're a regular traveler, Chase Sapphire Preferred may be the card for you. Keep scrolling to learn about the premium travel perks. With many of its rewards geared toward travelers, the Sapphire Preferred card is like having a mileage and rewards card all-in-one. Redemption: Redeem your points through Chase Ultimate Rewards for travel, gift cards, cash back, etc. If you redeem through Chase Ultimate Rewards for travel, you get 20% off airfare, hotels, car rentals, and cruises. Points Transfer: You can also transfer points to participating frequent travel programs with no transfer fees at full 1:1 value. 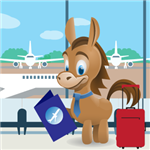 Airline transfer partners include Southwest Airlines Rapid Rewards, United Airlines MileagePlus, JetBlue TrueBlue, British Airways Executive Club, Flying Blue AIR FRANCE KLM, Singapore Airlines KrisFlyer, Virgin Atlantic Flying Club. Hotel partners include Marriott, Hyatt, IHG, and The Ritz-Carlton. Fly American or Delta? While Chase Ultimate Rewards points can be transferred directly into United or Southwest rewards programs, you cannot transfer Chase Ultimate Rewards points to Delta or American Airlines. But what if you still want to fly American or Delta? Here's a smart tactic: You can use British Airways to book a partner flight on American Airlines (and other oneworld alliance partners) and you can use Air France to book a partner flight on Delta Airlines (and other SkyTeam alliance partners). Visa: Chase Sapphire Preferred is a Visa credit card. American Express and Discover are widely accepted in the USA, but if you travel overseas, some retailers only take Visa and MasterCard. Tip: If you want to earn even more points for travel, you can pool your points from your Chase Freedom or Chase Freedom Unlimited. Since the Sapphire Preferred doesn't give you bonus points in popular categories like gas or groceries, consider maximizing your rewards by supplementing it with a Chase Freedom card. The Freedom card earns you 5% cash back on up to $1,500 in combined purchases in bonus categories each quarter. You'll enjoy new 5% categories every three months and unlimited 1% cash back on all other purchases. Use the Freedom card for the bonus categories, and then pool your reward points from both cards. Smartchip: Good news for international travelers, the Sapphire Preferred has Chip with Signature technology. Note: This is different than "Chip and PIN." With "Chip and PIN", you need to use a PIN on transactions. With "Chip with Signature", you'll need to provide your signature. 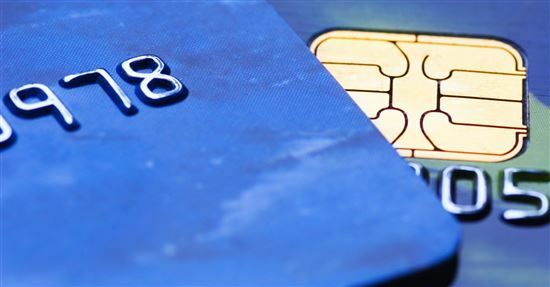 To learn more, read our Beginner's Guide to Chip Credit Cards. To learn more why the Chase Sapphire Preferred is a good card for travelers, here is a link to Chase's secure website. There you'll find the online application there and details on how to qualify for the 60,000 bonus point deal. How much is 60,000 Chase points worth? 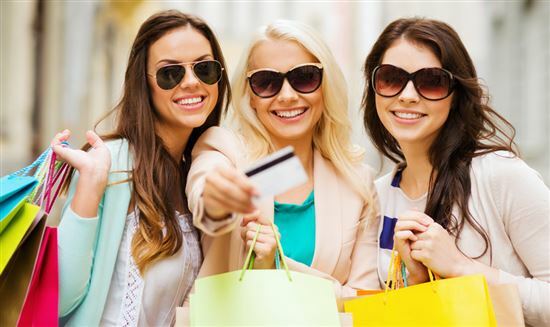 With the Chase Sapphire Preferred, this depends on how you redeem it. If you redeem for cash back, it's worth $600. If you redeem for travel on the Chase travel portal, it's worth $750 (25% more value). If you transfer to airlines, redemption value varies. You could get 2 round-trip flights from Los Angeles to Hawaii (with British Airways for 50,000 miles), which can be worth $1000+. It can also be worth a round-trip flight to Europe (though some airlines have fuel surcharges, so you'd need to account for that). Some credit cards use confusing points systems, but Chase Sapphire keeps it simple. We review how you can earn points fast later in this review. Travel Insurance: You are eligible to receive up to $500,000 in travel accident insurance as well as emergency assistance services via phone 24/7. You can also get up to $3000 reimbursement if you or your family's luggage is lost or damaged. If your baggage is delayed after you arrive, you can be reimbursed for essentials, such as toiletries and clothes, for up to $100/day for five days. If your trip is delayed for more than 12 hours, each ticketed person in your family can receive up to $500 total reimbursement for meals and hotel stays if you are not reimbursed by another source. Trip Cancellation/Interruption: If you've paid for your trip with the card, you have added protection if your trip is interrupted by weather or you or a family member get sick. You can be reimbursed up to $10,000 per person and $20,000 per trip for your non-refundable, pre-paid travel expenses, including airfare, hotel, and tours. Car Rental Insurance: The Sapphire Preferred card offers primary, not secondary, collision and damage insurance for most rental cars when you pay the entire car rental fee in full and decline the rental company's collision and damage insurance. Most other credit cards (even travel cards) offer just secondary insurance, so this is a very useful card benefit. For a full list of all the Sapphire Preferred Benefits, click here. Purchase Protection: On most purchases, you will be reimbursed up to $500 if the item is damaged or stolen within 120 days from purchase. That nearly four-month period can give you peace of mind. Extended Warranty: An additional one year warranty will be added to eligible purchases made with the card for items that come with an initial three year or less warranty. Earning points with the Sapphire Preferred card is pretty straightforward. You get 2x points on travel and dining at restaurants worldwide and 1 point per dollar spent on all other purchases. Dining at restaurants include fine dining establishments as well as fast food restaurants. Tip: You can earn bonus rewards points when shopping through Chase's Ultimate Rewards shopping portal. 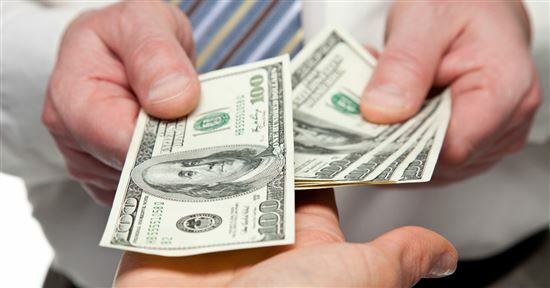 There are over 200 partner merchants that offer extra bonus points per dollar spent. Most stores offer 2x-5x points per $1, but some stores go as high as 15x or 20x points. So whenever you want to do a bit of online shopping, check out the Chase mall first to see if your store is on the list. Chase Sapphire Preferred gives you 2x points on travel and dining. 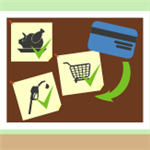 You can, however, earn bonus points on almost everything by strategically pairing it with other Chase cards. Pair with Chase Freedom for up to 5x points. Chase Freedom offers 5% bonus categories that change every quarter. So you can use it on any 5% category purchases to get the most points. Sometimes, the 5% categories include restaurants, so that'll give you even more rewards than Sapphire Preferred. It has no annual fee. Pair with Chase Freedom Unlimited for points on everything. Freedom Unlimited gives you 1.5 points per dollar on all purchases. You can use it on any other purchases that would otherwise just be 1x point. It also has no annual fee. Pair with a Chase Ink business card. If you have a small side business (even driving Uber or selling things on eBay count! ), you can apply for one of the Chase business cards. Chase Ink Cash gives you up to 5x points on office supplies and phone/cable/internet services (on the first $25k in combined purchases), and 2x points on gas and restaurants (on the first $25k in combined purchases). And Chase Ink Preferred gives you 3x points on travel (on the first $150k in combined purchases). Chase allows you to combine points between Ultimate Rewards cards. So you can combine these points unto your Sapphire Preferred card, and then use them for travel. 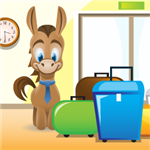 Transferring to airline and hotel partners (value: varies). Many people consider this the best use of their points. With a smart transfer, your points can be worth a lot. For example, you can book a round-trip award flight from Los Angeles to Hawaii for 25,000 miles. If a ticket usually costs $500 or more, that's a redemption rate of 2 cents per point or more. Book travel on the Chase travel portal (value: 1 point = 1.25 cent). Your points are worth 25% more value when you use them to book flights or hotels on the Chase travel portal. For a $500 flight, you would only need 40,000 points to buy it. Get cash back (value: 1 point = 1 cent). You can use your points for statement credit or direct deposit into your bank account. But the value is only 1 cent each (10,000 points = $100). Exchange for a gift card (value: 1 point = 1 cent). You can exchange for a gift card to select store or restaurant at the rate of 1 point = 1 cent. This option isn't even as flexible as straight up cash back. Buy an experience (value: varies). Chase offers unique experiences to Preferred cardholders, like private dining with a chef and concert packages. The redemption rate depends on how much you value the experience. Is the travel portal a good deal? When is it better to use the travel portal instead of transferring points? For example, let's say there's a round-trip flight from Los Angeles to London during low season for just $500. With the Sapphire Preferred points discount, this would only cost 40,000 points. Compare that to transferring, where a round-trip to Europe would cost 60,000 miles with United. It's always smart to check the portal when booking a flight. Plus, since the portal converts a cash price into points, there are no award fees. When redeeming with airline frequent flyer miles, there may be other taxes and fees. If you want to use the portal, remember to double check the price with a few other sites too, such as Google Flights, Kayak, and Skyscanner. Sometimes, there may be a slight price difference. If another site is offering a cheaper flight, then it's smarter to just book it from that site (using your Sapphire Preferred card, so you get 2x points). How does Chase Sapphire Preferred's annual fee measure up? We'll show you below. Here's how the Chase Sapphire Preferred stacks up against the Chase Freedom Unlimited, a cashback card with no annual fee. Tip: Consider using both the Sapphire Preferred and Freedom Unlimited. By using the Sapphire Preferred on travel and dining and Freedom Unlimited on everything else, you're getting the best of both worlds. Normally, you can't transfer points earned with the Freedom or Freedom Unlimited to frequent flyer programs, but when you combined your points with the Chase Sapphire Preferred, you can now transfer the pooled Chase points to airline transfer partners (such as United and Southwest) and hotel transfer partners (such as Marriott). Chase Sapphire Reserve is the luxury sibling of the Preferred card. It has a $450 annual fee but more benefits. One of the biggest Chase Sapphire Reserve benefits is the $300 annual travel credit on travel-related purchases. You also get Priority Pass Select lounge membership and Global Entry/TSA-Pre application credit. If you travel very often, you may find the Reserve is better value. Read this in-depth comparison of Chase Sapphire Preferred vs Reserve to see which one is better for you. Are you a frequent traveler? If a $550 annual fee (See Rates & Fees) does not scare you, then read this comparison review of Chase Sapphire Preferred vs AMEX Platinum. Keep in mind, the AMEX Platinum Card from American Express (a CreditDonkey advertiser) is a charge card and not a credit card -- so you have to pay the balance in full each month. With the AMEX Platinum, you get access to 5 airport lounge networks, an airline fee credit, and other travel perks. Point Rewards: 2X points on travel and dining at restaurants & 1 point per dollar spent on all other purchases worldwide Point Rewards: Earn 4X Membership Rewards® points at U.S. restaurants. Earn 4X Membership Rewards® points at U.S. supermarkets (on up to $25,000 per year in purchases, then 1X). Earn 3X Membership Rewards® points on flights booked directly with airlines or on amextravel.com. Citi Premier is another card with a $95 annual fee (see Chase Sapphire Preferred vs Citi Premier), but Chase Sapphire Ultimate Rewards wins us over because of the signup bonus and transfer partners. Both of these rewards cards offer a big sign-up bonus, so how do you decide which one is the best for you? Capital One Venture earns 2x miles on all purchases. 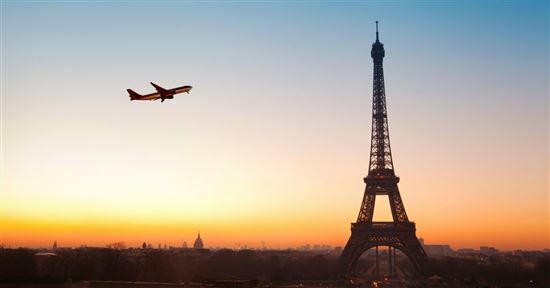 Redeem miles for a statement credit toward eligible travel purchases. Chase Sapphire Preferred lets you redeem points for a statement credit, book travel through Chase Ultimate Rewards, or transfer the points to an airline or hotel transfer partner at a 1:1 ratio. Read: Chase Sapphire Preferred vs Capital One Venture. Now that you know the ins and outs of Chase Sapphire Preferred, let's go over some common questions. Q: Is Chase Sapphire Preferred worth it? In our opinion, Chase Sapphire Preferred is worth getting for any semi-frequent to frequent traveler. First, the sign-up bonus alone is amazing. And frequent travelers and diners will be able to rack up points fast. The redemption value is great too. Redeeming on the Chase travel portal gives your points 25% more value. And you can transfer to airline partners for potentially even more value. It also has great travel protections if something unexpected happens on a trip. Q: How much is a Sapphire Preferred point worth? Q: Is Chase Sapphire Preferred a Visa or MasterCard? The Sapphire Preferred is a Visa card. That means you can use it where VISA cards are accepted, including warehouse clubs like Costco. Q: What airlines can you use with Chase Sapphire? Remember, you can book travel on any airline by redeeming your points on Chase Ultimate Rewards (Chase's online booking portal). Q: Do Ultimate Rewards points expire? No, your Ultimate Rewards points never expire as long as your account is active and in good standing. Q: What are the Chase Sapphire Preferred requirements? You need excellent/good credit to get approved for a Chase rewards card. Note: Chase has been known to decline applications if you've already opened more than five new credit cards in the last 24 months, including non-Chase cards. Because of this limitation, the Sapphire Preferred card should be the first card you consider when you are in the market for a new travel card. 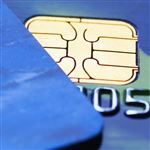 Other card issuers have their own guidelines. If you are interested in the Sapphire Preferred sign-up bonus, travel rewards and card benefits, then complete your application for this card before you apply for cards. Q: Should I add an authorized user to my new account? A great thing about the Sapphire Preferred card is the ability to transfer Chase points to airline and hotel transfer partners (such as United and Marriott). As long as the authorized user lives in your household, you can transfer your Chase Ultimate Rewards points to the authorized user's frequent flyer or hotel loyalty account at participating transfer partners. It's nice for authorized users too, as they can enjoy the Chase Sapphire Preferred's travel perks, such as the primary auto rental collision damage waiver, without having to pay an additional annual fee. But don't add just anybody. Remember, you are ultimately responsible for charges from authorized users. Q: I use Uber, does that count toward 2x points on travel? Yes. Merchants in the Chase rewards travel category include: airlines, hotels, motels, timeshares, campgrounds, car rental agencies, cruise lines, travel agencies, discount travel sites, and operators of passenger trains, buses, taxis, limousines, ferries, toll bridges and highways, and parking lots and garages. Q: I eat at fast food restaurants often. Does that count toward 2x points on dining at restaurants? Yes. Merchants in the Chase rewards restaurants category are merchants whose primary business is sit-down or eat-in dining, which includes fast food restaurants. Keep in mind, some merchants that sell food and drinks that are located within larger merchants such as sports stadiums, hotels and casinos, theme parks, grocery and department stores will not usually be included. Q: Does Chase Sapphire Preferred have foreign fees? Chase Sapphire Preferred has $0 foreign transaction fee. Unlike many credit cards that add a 3% foreign transaction fee when you use your card outside of the U.S.
Q: What is the Chase Sapphire Preferred card made of? Chase Sapphire Preferred is a metal card. It has a metal core and a blue plastic finish on the front and back, giving it a weighty and luxurious feel. Q: What is the current bonus offer? Chase Sapphire Preferred signup bonus has increased significantly from their previous 50,000 bonus point offer. Now you can earn 60,000 bonus points after you spend $4,000 on purchases in the first three months from account opening. That's $750 toward travel when you redeem through Chase Ultimate Rewards®. If you have excellent credit and would spend enough to earn the 60,000 point bonus, the Sapphire Preferred is an excellent value, especially for travelers. Disclaimer: This content was first published on December 9, 2011. This content may have been updated on March 19, 2019. Information including APR, terms and benefits may vary, be out of date, or not applicable to you. Information is provided without warranty. Please check Chase website for updated information. Disclaimer: The information for the Capital One® Venture® Rewards Credit Card, Chase Freedom, Ink Business Cash Credit Card, Chase Slate, and Citi Premier℠ Card has been collected independently by CreditDonkey. The card details on this page have not been reviewed or provided by the card issuer.